For Pakistanis the world of finance and banking in the country has improved through technological advancements. The day-to-day transactions and methods of payment are increasingly being revolutionized in terms of the shape and form of seamless alternatives to cash and time-consuming transactions. However, as technology advances, the risk of security issues remains. Hackers and other criminals, find new ways to trick customers frequently. There are many methods employed by these hackers to steal data and often customers become victims of data breach and fraud that ends in them giving away confidential information and personal details unknowingly. In order to tackle such unforeseen circumstances, BankIslami, for the very first time in Pakistan has introduced a biometric solution – OneTouch Banking. Customers can use this feature to carry out transactions by a simple thumb impression. 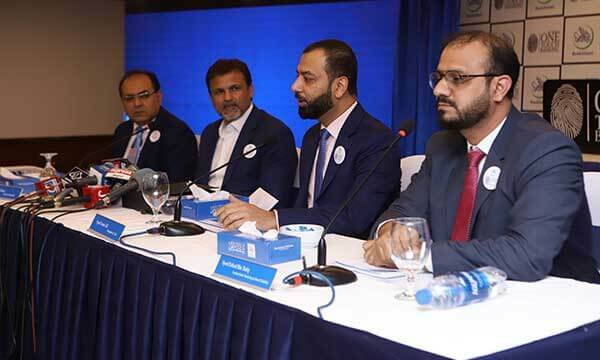 To commemorate this achievement, President & CEO of BankIslami, Moin Khan, the Brand Ambassador of BankIslam along with the Bank’s top management, unveiled its technologically advanced OneTouch Banking solution in a ceremony held in Karachi. The idea of fingerprint scans have already been in use in the United States and several other countries as a way to pay. Smartphone owners can relate to the ease and convenience of using the fingerprint sensor as a form of security. Moreover, for this out-of-the-box concept and breakthrough achievement, BankIslami was given the ‘Most Innovative Banking Solution Provider in Pakistan’ award for OneTouch Banking.